You can apply for support funding for up to $1000. If interested in this opportunity, an application form and additional information can be found here: http://goo.gl/forms/AIKqRdCOVb. 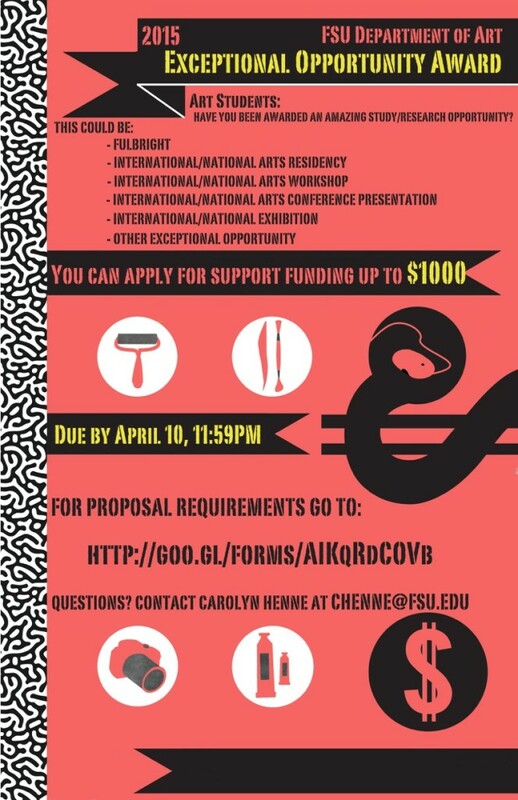 For any additional questions, please contact Carolyn Henne at chenne@fsu.edu.